Type 2 diabetes, also known as non insulin dependent diabetes, is the most common type of diabetes. Type 2 usually appears in older people (over 40) though as levels of obesity in the UK are rising, more and more younger people are being diagnosed. 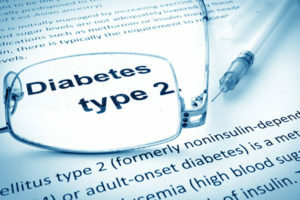 Type 2 happens when the pancreas fails to produce enough insulin to completely control the levels of glucose in your blood, or when the body cannot use the insulin that it does produce properly. The cause of diabetes is a mystery, although the following risk factors appear to play a role. A family history of diabetes can increase the risk of the disease developing. You are of African-Caribbean or South Asian origin. People who are overweight or who have a large waist size are particularly likely to develop type 2 diabetes. Women who developed gestational diabetes are more likely to develop type 2 diabetes in later life. Constant thirst and dry mouth. The need to urinate more than usual (especially at night). Extreme tiredness, fatigue and weakness. Tendency to get minor infections e.g. boils or thrush. Diabetes is often diagnosed by a doctor during routine urine or blood tests, when the test shows the presence of glucose. If you suspect you might have diabetes your doctor may start by giving you a simple urine test to look for the presence of glucose in your urine. Normally, there should be no sugar in urine but when the levels of glucose in the blood rise above normal, glucose is spilled into the urine by the kidneys. This is why diabetes symptoms, such as excessive urination and genital itching, occur. If sugar is present in urine it is a good indicator of diabetes. 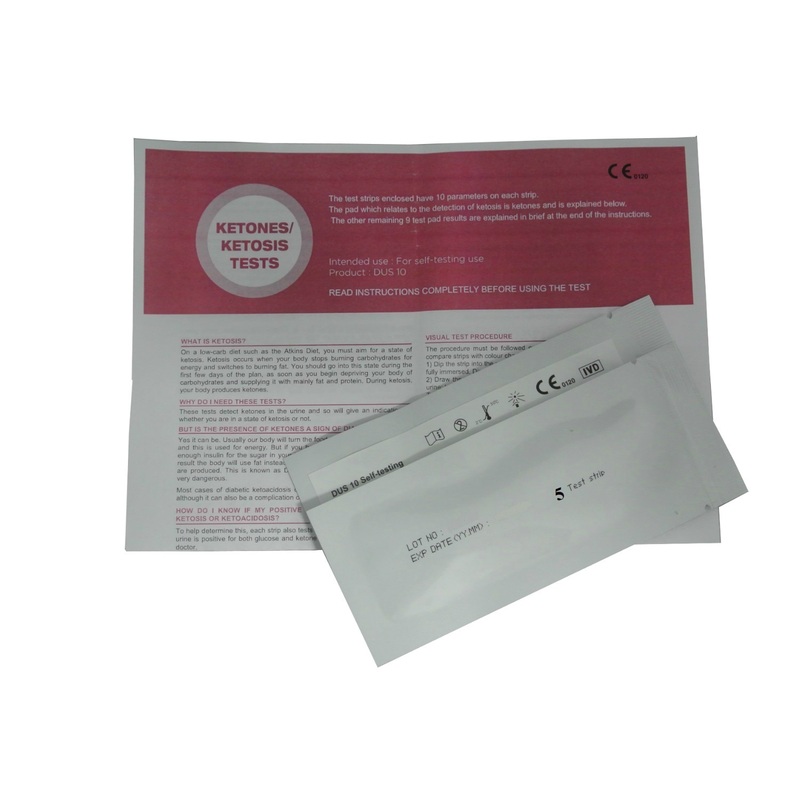 We sell a diabetes screening test on this site, which looks for the presence of sugar (glucose) in urine (to see our full range of diabetic tests click here). If an initial screening test shows glucose is present in urine then a blood test which measures the actual amount of glucose in the blood will need to be carried out. We have a blood glucose monitoring system available on this website which gives an accurate picture of your blood glucose level at the time of the test. For more information or to buy this test click here. If the level of glucose present is borderline, your doctor may want you to undergo another blood test which is carried out after fasting overnight. Another test called a HbA1c test which looks at long term sugar levels may also be carried out. If these tests confirm that you have diabetes you may be referred to a specialised diabetes clinic for help and guidance. What treatment is available for diabetes? Sulfonylurea, there are several types of this medication and they work by boosting your insulin levels. Nateglinide and repaglinide which are similar to sulfonylureas as they also boost your insulin levels. Dipeptidly pepidase 4 inhibitors, also known as incretin enhancers, these work to reduce your blood glucose levels. Pioglitazone increases the sensitivity of your body’s cells to insulin so helping to lower blood glucose. Acarbose works by delaying the absorption of carbohydrates therefore reducing blood glucose levels. If however, diet and tablets are not enough to control your blood glucose levels, you may need insulin injections. Your doctor will monitor what treatment is most suitable for you. Make sure you always take your medication at the prescribed times and don’t miss any meals. What complications come from type 2 diabetes? Diabetes can cause many complications if glucose levels become too high you can experience hyperglycaemia for more detailed information on this click here. If levels are too low you can develop hypoglycaemia for more detailed information on this click here. Untreated diabetes or diabetes that is not controlled can also cause foot ulcers, vision problems, kidney failure, nerve damage (For more information on diabetes complications click here) and puts you at a higher risk of heart disease or stroke. How can I prevent getting type 2 diabetes?